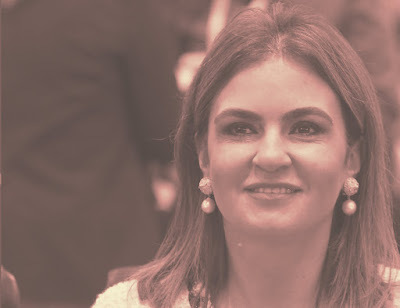 On Wednesday , The Wall Street Journal published in its opinion section an op-ed by Egypt's minister of international cooperation Sahar Nasr about the latest "economic reforms" in Egypt. Addressing foreign businessmen and foreign government through the daily business newspaper, Minister Sahar recounted the economic reforms and achievements of President Abdel Fattah El-Sisi's administration. As expected and usual , the current minister of cooperation put the blame of economic woes on the Muslim Brotherhood president Mohamed Morsi and his one year rule. She did not blame or compare "Mubarak's bad developments policies" with El-Sisi's policies interestingly in the op-ed. Personally , the only thing that caught my attention aside from putting all the blame on the bad MB was her statements in English about the future of public utility companies in Egypt. Through public offerings, Egypt will be partially divesting from several state-owned enterprises and banks. For the first time, this will cover public utility companies, which have historically been excluded from divesture as a strategic sector. Megaprojects, mainly in infrastructure, are being carried out as public-private partnerships. The objective isn’t only to keep the private sector as a main stakeholder, but also to ensure a crowding-in rather than crowding-out effect. I think what the minister said in English is clear. The Egyptian government will divest partially from several stated-owned Enterprises and banks as well for the first time in history public utility companies according to this statement, to this paragraph. This is the first time , an Egyptian minister would say that the Egyptian state would divest partially in public utility companies and amazingly she announced that in a foreign newspaper. I do not recall that an Egyptian official told the Egyptian public or the parliament or the Egyptian media about that before. We already know that the government will divest partially from public banks , specifically Banque Du Caire and from oil sector as well. It is the first time to include the public utility companies in that plan. Several Egyptian newspapers and news websites like Ahram Arabic Gate published in Arabic the minister's op-ed highlighting her statements about the public utility companies. Despite I have not seen too many voices as expected or hoped for asking questions about Nasr's statements, the ministry of international cooperation issued a statement clarifying some points including the public utilities companies' future in Egypt. Unlike what has been inaccurately published by some websites, no reference has been made in the article to the service sectors including electricity, sanitation and water, given that the state owns the dominant share of such projects. So now the international cooperation ministry is denying that the government is going to divest partially in electricity , sanitation and water sectors. Well, I think then the minister or her office should have used another term than "public utility companies" in her op-ed because that term internationally in English means service sector companies , mainly the infrastructure companies including Water, sanitation and electricity companies. You can check the meaning of public utility here in Wikipedia, Oxford dictionary and Cambridge Dictionary. I just wish the Egyptian ministers realize that they do not deal with a bunch of idiots or that we live under the 1960s iron curtain !! The cabinet and the House of Representatives are now speaking about the op-ed and Nasr's statements about public utility companies. First , MP Alaa Abdel Moneim presented an urgent statement to the parliament about the sale of the public utility companies. Minister of legal and parliamentary affairs Magdy El-Agati said that he did not read the op-ed adding that it was only "her opinion !!" In what is described as a heated session , the parliament speaker Ali Abdel Aal stated that there would be no selling of bank or public utility companies according to Ahram Online. He also added that it could be a mistranslation or "that any selling may be of shares owned by the state in such companies" according to Ahram Online. I could be wrong but this sentence in English"that any selling may be of shares owned by the state in such companies" means what the minister said in her op-ed that the government will divest partially in public utility companies !?? Either ways , I think that the minister's op-ed and her announcement as well the government reaction in Cairo were more of a "test balloon" to see the people' reaction. I am afraid the people did not pay attention because the media did not spot the light on that statement. Anyhow , I expect that the government will divest partially in public utility companies. It is matter of time. Again the 1960s iron curtain?????? Well done ..... 1st time I see a minister who publishes such an important "issue"concerning US Egyptians in a foreign newspaper!!!! I think what the minister wrote about concerning (the government will divest partially in public utility companies ) is a possible matter in a country suffering economically specially that the state's owned service sectors need continuous renewing ,replacement and maintenance which financially cost alot ,so what's the problem of sharing these with private sector but with the big shares for government ,this may allow a better service and reduce the load on the counry. The main problem here is that she is announcing the matter to foreigners before her own people or even the parliament. Such decision is very critical thing. The IMF always imposes its agenda when loaning money. They get subsidies cut and they insist that public utilities are privatised. This is part of the Chicago School's view that all markets should be opened up. It is done solely for the rich and is not designed to help the country. Read The Shock Doctrine for more.